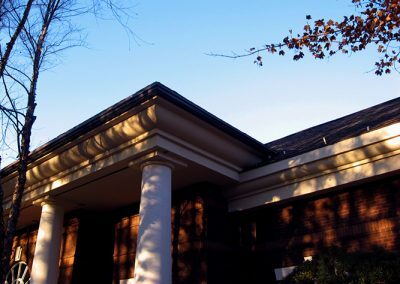 Raymond Engineering was retained to provide roofing options for both the low sloped roof area and the steep sloped shingle areas for the Lawrenceville Library by the Architect that was contracted to oversee this project. 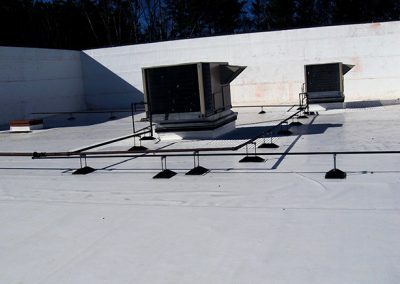 The Architect provided specifications for the EFFIS repair/replacement. Raymond Engineering coordinated activities with the owner and architect. Design documents were drawn up to address both of these areas. 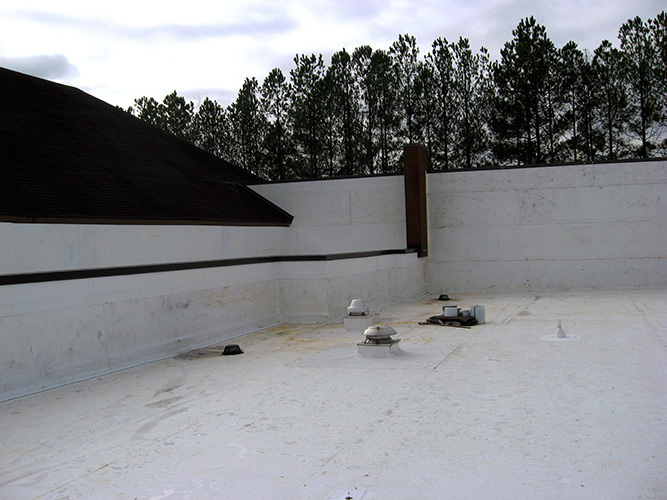 The low slope area was replaced with a white reflective TPO mechanically fastened roof system with a 15 foot Mansard wall covered with a fully adhered TPO. 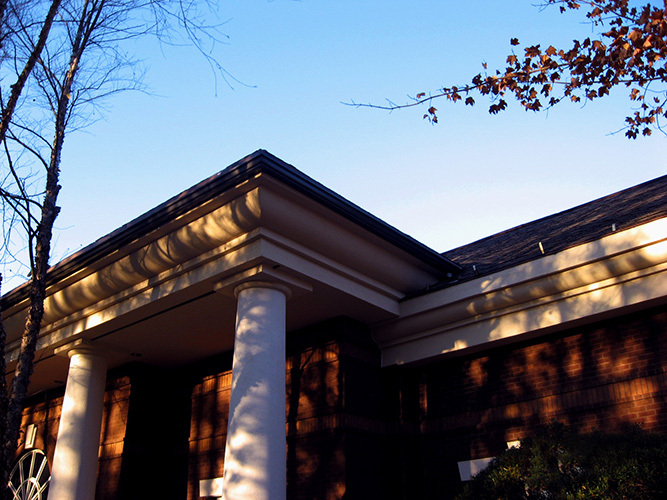 For the steep sloped areas, a shingle roof was designed. 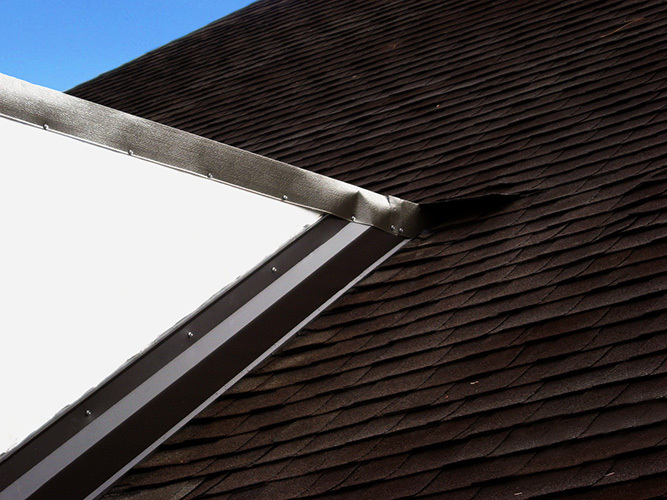 Since the original shingle roof system was unvented, the design included the installation of a vented deck system. 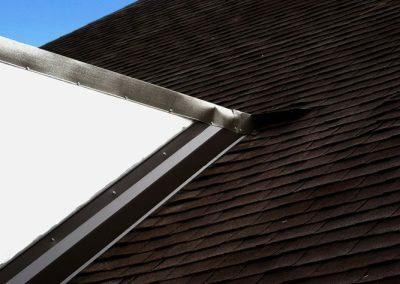 Since it was not feasible to install soffit venting through the EFFIS, venting was obtained by using sloped E flashings. Due to budget constraints, the shingle roof system was put on hold. All materials were obtained from local vendors. Raymond Engineering used a white TPO which substantially changed the reflect-ability. 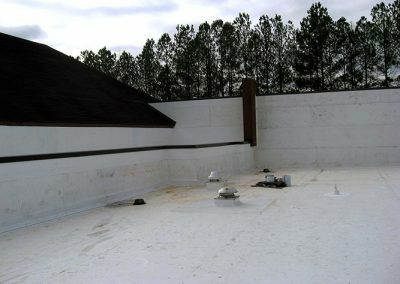 During pre-design, consideration was given to re-using the insulation, however, it was found to be unacceptable for the type of system being used. 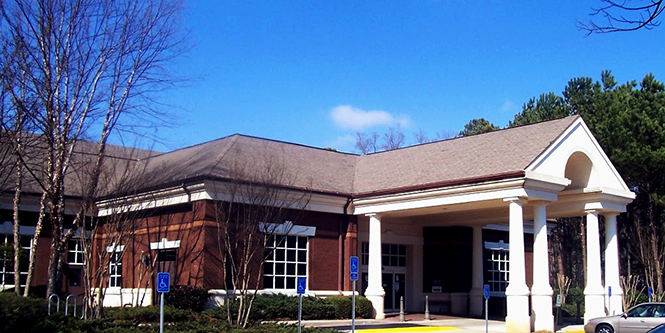 Raymond Engineering was retained to provide construction administration to the entire project. 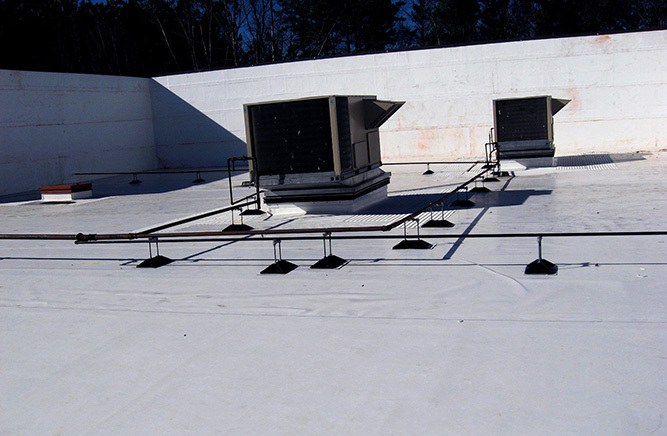 Additionally, part-time quality assurance inspections were conducted on this project.